John Grant has shared two startling new songs taken from his incoming album 'Love Is Magic'. The record drops on October 12th, with the songwriter also set to play a full UK tour to coincide. 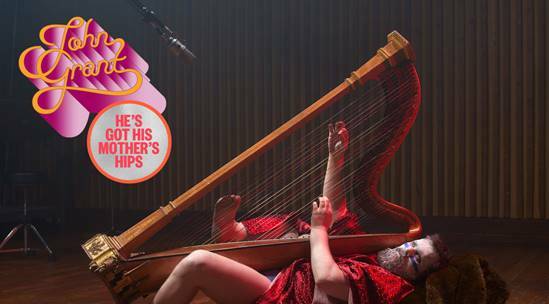 Deciding to share two new previews, John Grant has shared album cuts ‘He’s Got His Mothers Hips’ and ‘Touch & Go’. ‘Touch & Go’ meanwhile was prompted by the life of Chelsea Manning, the US official turned whistleblower who transitioned gender while in prison. John Grant says: “I was very intrigued by her incredible story... What kind of strength does it take to survive something like that while being decried as a traitor and a pervert for whom death is too good”. 'Love Is Magic' will be released on October 12th. For tickets to the latest John Grant shows click HERE.